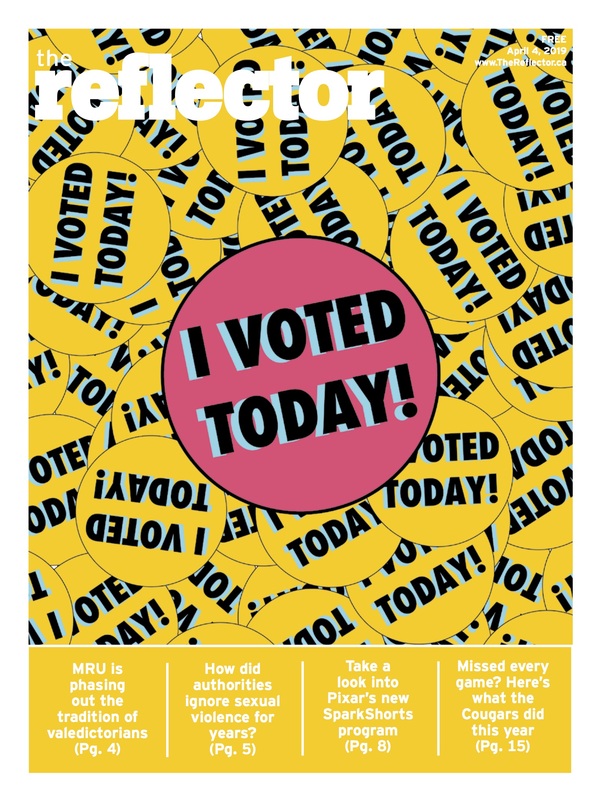 On Oct. 14, 2018 the Reflector was invited to one of NOVA Cannabis’ locations in Calgary. The location on McLeod Trail is one of few cannabis stores that opened on the first day of legalization — on Oct. 17, 2018. The store, located in a strip mall, was very busy with workers rushing around installing displays and fixtures. There was a faint smell of marijuana when you walk through the front doors — as product was already on location for the big day. Inside the location was beautiful and even with some construction going on, it was nice enough to eat off the floor. There were TVs, glass display cases and lots of information pamphlets along the walls, ready to educate the masses about the different types of cannabis and the various ways to consume it. On location was Alcanna VP, Shelley Girard, to show me around the store. Alcanna, Inc., the owner of NOVA Cannabis stores, has been a liquor distributor in British Columbia, Alberta and even Alaska for the last 25 years. Girard says that Alcanna’s experience selling controlled substances definitely helped Alcanna get five of the 17 cannabis licenses issued by the AGLC. Girard says thinking about customer experience is essential. “One of the things that we are really focused on is helping consumers navigate the cannabis environment,” she says. According to Girard that whether you are a already a user or a new user, there will be a variety of options for consuming. “We want to make sure we are answering questions and helping people find the best product,” says Girard, who does not want people to feel overwhelmed. Touring the store with Girard, there was a lot to see, but it wasn’t overwhelming. 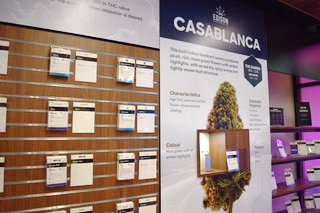 The store offers quite a bit of information about cannabis strains and the different ways to consume it. She pointed out the cannabis fact cards highlighting the THC (the psychoactive component of weed that causes a high feeling) and CBD (the component of weed that offers a range of medical benefits without leaving the user feeling high) content in the different strands. 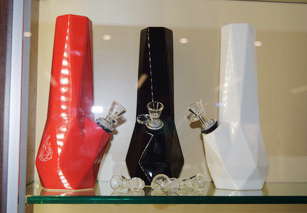 There are also plastic cases where consumers will be able to smell cannabis buds and become more familiar with the products. If you are feeling overwhelmed and you don’t know where to start, Girard says there should be at minimum, one staff member on-hand to help two customers. It’s a ratio that is important to helping consumers find the right products for them. “Start low, go slow,” says Girard. She also urges people to realize that everybody’s experience with cannabis is different. The first legal cannabis sale in the country occurred in Newfoundland to Canadians, Ian Power and Nikki Rose. They bought the country’s first legal cannabis from Tweed in St. Johns. In week one, the country saw some cannabis stores already selling out of product. Stores in Calgary appeared to be doing fine, despite having large lines from open until close. Four20 Premium Market Vice-President of Operations, Ryan Kaye, told the Star that the Calgary location wasn’t close to selling out of product. But, he did say that knowing if there was enough product before the next order was difficult to determine. On Oct. 18, Alberta Health Services (AHS) reported that Health Link supported 19 cannabis-related phone calls and says the daily average is around 10. AHS also stated that the Poison and Drug Info Services received two cannabis-related calls. Emergency departments also saw “little to no cannabis-related activity,” according to an AHS tweet. Below is a version of the story previously published Oct. 16, 2018. On Oct. 14, 2018 the Reflector was invited to one of NOVA Cannabis’ locations in Calgary. The location on McLeod Trail is one of few cannabis stores that will be opening on the first day of legalization — on Oct. 17, 2018. The store, located in a strip mall, was very busy with workers rushing around installing displays and fixtures. There was a faint smell of marijuana when you walk through the front doors — as product is already on location for the big day. Inside the location was beautiful — and even with some construction going on, it was nice enough to eat off the floor. There were TVs, glass display cases and lots of information pamphlets along the walls — ready to educate the masses about the different types of cannabis and the various ways to consume it. On location was Alcanna VP, Shelley Girard, to show me around the store. Alcanna, Inc., the owner of NOVA Cannabis stores, has been a liquor distributor in British Columbia, Alberta, and even Alaska for the last 25 years. Girard says that Alcanna’s experience selling controlled substance definitely helped Alcanna get five of the 17 cannabis licenses issued by the AGLC. She says that whether you are a already a user or a new user, there will be a variety of options for consuming. “We want to make sure we are answering questions and helping people find the best product.” Girard wants people to not feel overwhelmed. Touring the store with Girard, there was a lot to see, but it wasn’t overwhelming. The store offers quite a bit of information about cannabis strains and the different ways to consume it. She showed me cannabis fact cards highlighting the THC (the psychoactive component of weed that causes a high feeling) and CBD (the component of weed that offers a range of medical benefits without leaving the user feeling high) content in the different strands. As well, she showed me these plastic cases where consumers will be able to smell cannabis buds and become more familiar with the products. If you are feeling overwhelmed and you don’t know where to start, Girard says there should be at least a staff member on-hand to help two customers. It’s a ratio that is important to helping consumers find the right products for them. “Start low, go slow,” says Girard. She also urges people to realize that everybody’s experience with cannabis is different. Girard says consumers can expect a lot of fun on the first day of legalization and on the opening day of NOVA Cannabis’ McLeod location. She says they are looking at the first day as a celebration. There will be music, beverages, cupcakes and some NOVA Cannabis swag.